"One of the most helpful and powerful actions we can take as we move through this transition as a species is to increase opportunities for conscious reflection from the personal to the planetary scale." The All Hearts on Deck (AHOD) series of Group Offerings are geared to leverage personal and collective transformation and are rooted in Trillium Awakening (TA) teachings. TA is a highly effective path of whole-being realization that integrates consciousness, embodiment, and mutuality. Are you longing to be of service and finding ways to weave conscious action into your spiritual practice? Or are you wanting to bring more spirituality into your activism? These monthly meetings will support you in doing both! When we are called to respond to the world it can be heartbreaking to discover the ways in which we are actually part of the "problem" we're trying to solve. Doing our inner work can reduce the inadvertent harm that our unconscious conditioning can cause. And, taking action can reduce the tension in our hearts from knowing we're embedded in life and impacting the well-being of the whole web. As we awaken to our non-separate nature, constricting patterns organically integrate and liberate us into greater capacity to act on behalf of the wellness of all beings. In turn, our daring actions can become pathways for further awakening. This beautiful exchange of action and surrender brings us into greater wholeness and allows us to co-creatively co-evolve with the ever-unfolding Universe. The All Hearts on Deck Open Circles are non-denominational. Trillium Awakening practitioners are welcome to attend, as are people from all spiritual backgrounds and inclinations. Please proved a brief description of your background and interest in awakened activism. Once you submit your information, I'll send you details about payment, Zoom information, etc. Spirituality is intimacy with the living universe - intimacy with ordinary reality, and engaging it at its depth. Have you been stabilized in your whole-being realization for a while and are longing to bring your awakening out into the world more fully in the form of service? Or, have you already ventured forth in fulfilling your purpose but could use some mirroring, support, and encouragement as you dare to act on your dreams? If so, the Advanced Trillium Awakening Practitioners Circle is aimed to help you do just that! If so, we encourage you to join us! ​If you're ready to engage the wild realities of this place and time in global history and offer your gifts for the well-being of all, then the All Hearts on Deck sittings are here to help you dare to know and share your unique brilliance in a truly awakened activism. 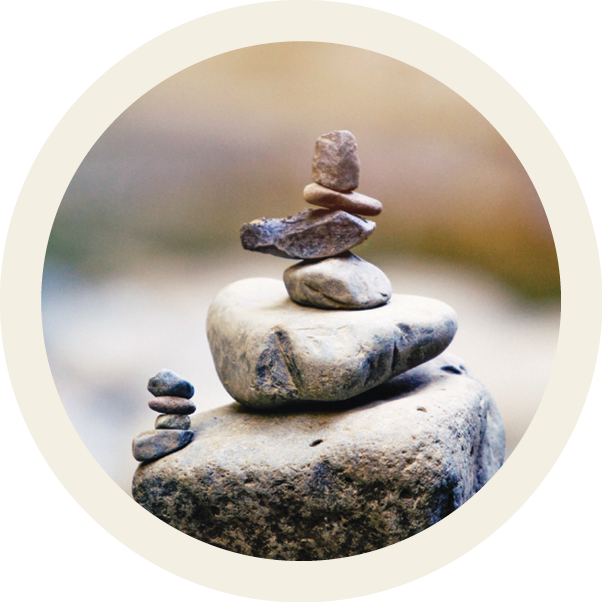 The sitting format includes meditation, topic discussion, and individualized support and sharing. See schedule and topics, below. A sitting is a gathering where mutuality is uniquely practiced in the Trillium path. Sittings are held virtually and in-person, and generally include gazing meditation, discussion relevant to the embodied awakening process, and participant sharing. During the sharing time, you are invited to explore something important to you in your awakening or seeking process – particularly your current “edge” of growth or development or a place where you are stuck and want movement. The teachers provide guidance and reflection, while honoring each person’s inner wisdom. The intention is to provide a supportive and trustworthy container in which participants are deeply met and seen in all their Infinite Radiance, as well as their very human limitations. As you share, the group listens consciously with their whole Being and without offering solutions or advice, which provides support and safety for you to come forth as your authentic self. Openly feeling into the darkest portions of ourselves unexpectedly gives us the freedom to also deeply feel our spaciousness, gifts, and freedom. The energy and attention that has become stagnant from resisting these difficult feelings then give way to movement and become available for deeper inquiries and integration. Being held in mutuality, together with the teacher’s transmission of embodied consciousness, helps to quicken and deepen your embodied awakening. Whole-Being Realization is awakening into non-separate conscious embodiment. Consciousness paradoxically fuses into feeling-union with the body-mind, becomes self-aware as the Core Paradox (of being both infinite and finite), and realizes its existential nature as the same essence with all that is. While this is a permanent shift of one’s experience of the ground of Being, it requires integration over time that may be categorized into early, middle and late stages for its fullness to be realized. As you relax more fully into the discomfort of the Core Paradox of existing simultaneously as infinite and finite, divine and human, you recognize your identity has shifted to being this paradox. This fundamental shift may be gradual or sudden. It is often felt as a “landing” into self as never before, and actually changes your whole orientation to life. Your sense of self is no longer exclusively identified as the finite body-mind, or as infinite Consciousness, but now incorporates the entire spectrum of being, which includes everything and excludes nothing. Whole being realization is just the beginning of an ever-deepening journey of awakening and integration which over time becomes an embodied awareness that’s stable amidst life’s fluctuations. This tacit knowing brings relaxation, openness, and well-being. Note: If you've already participated in a TA AHOD sitting, then just say "previous participant" in the description box. If you're a TA mentor or teacher, simply indicate this in the description box. Subtle forms of activism like global meditation and prayer, especially when integrated with more conventional forms of activism, can play a crucial unifying role in any holistic approach to collective healing and social change. "...Divine Love cannot be only an interior experience: after all, it is also the energy that creates and sustains the universe. To live in Divine Love is inevitably to act from it, both by the radiance of your presence and in actual acts of justice and compassion." Individualized sessions focusing on the embodied consciousness awakening process are a great addition to all of the groups. See my Trillium Awakening teacher's page for more info.